Want a demo of ConvertFlow? Targeting onsite messages to website visitors based on their visit behavior is pretty obvious. But still, people often stick to the simplest of visit behavior data for their targeting. Don’t only target based on the time on site or page the visitor spends. Target based on what pages the visitor has been to, the number of times someone has been to a specific page, the number of times someone has visited the site, how far down the page someone scrolls, whether they click on a call to action or not, the list goes on. Promote an ebook, webinar, or some other resource that is related to a specific product/solution page the visitor keeps visits repeatedly. If a visitor has spent a lot of time on your Enterprise page, guide them to other pages that showcase the value of your product/service to large companies. If visitor has been to your site multiple times, but has yet to check out your Features page, call it out so they get a better understanding of your offering. Or, better yet, present an overview video to them that covers the same information. 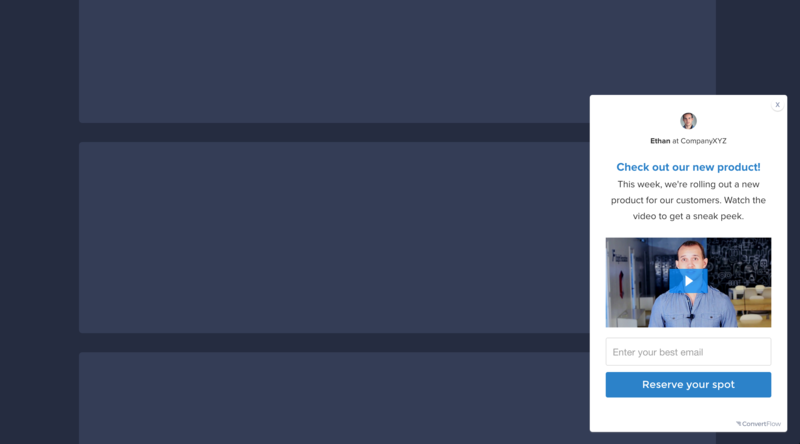 Trigger a live chat message to visitors that have visited your pricing page multiple times to find out what’s stopping them from signing up and answer any questions they may have. Considering where your visitors are coming from (referring source, marketing campaign), and all the rest of the data that can come with an anonymous visitor (geographic location, device, return visitor vs new visitor, etc. ), can be just as powerful as visit behavior. 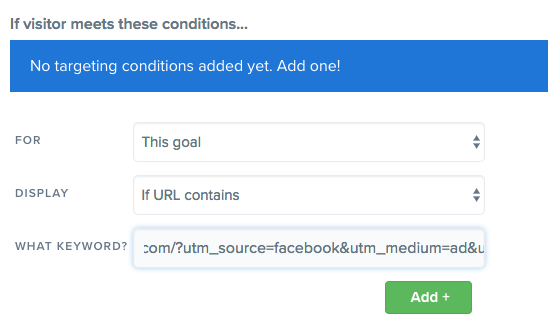 Using UTM tracking URLs in all your marketing efforts lets you keep track of how visitors have found you and adjust your messaging accordingly. For example, when a visitor lands on your site through a paid ad campaign, you should continue that campaign on your website with messaging that matches your ad. This will result in higher conversion rates for your ad campaigns and a better R.O.I on that money spent. Most, if not all, of your marketing campaigns are designed to drive people to your website. Whether the visitor is coming from a software directory website, an advertisement, a guest blog post, or a real-world event, you can use on-site retargeting to message these visitors based on this information and improve the performance of those off-site marketing efforts. On-site retargeting doesn’t have to stop when you have converted someone to your email list. In fact, what makes on-site retargeting so powerful is it can help you convert visitors to leads, leads into real prospects (trial users), and prospects into paying customers. This is where on-site retargeting comes in. Just like how you can trigger new emails in a marketing automation tool based on certain conversion goals being met, you can replace old, no longer relevant call-to-actions on your site with new ones automatically with on-site retargeting. So when someone has already subscribed to your email list, don’t keep promoting email opt-in on your blog sidebar or website footer. Dynamically update those call-to-actions to promote an upcoming webinar that is relevant to them instead. When someone has registered for the webinar, now change the call-to-actions to promote trial sign up or a discount code for the product you discussed in the webinar. And when someone joins your trial, start promoting resources that will help them find value with your product. Just like with the offsite marketing automation, the more data you have on a lead, the better. Each call-to-action that you trigger with on-site retargeting should ask for new information from the website visitor. If you already have an email address, why ask for it again? Ask for the size of their company, what challenges they face, what their budget is, and any other information that you can leverage in future marketing and sales efforts. Integrate your on-site retargeting solution to your marketing automation tool and you can continuously create more and more complete profiles of your leads. This process is called progressive profiling, and it can be easily accomplished using on-site retargeting. Use on-site retargeting to gather the additional data on leads, and trigger new campaigns in your marketing automation tool automatically when this new data comes in. Reducing on-site retargeting to exit-intent targeting and overlay popups is completely missing the point. That being said: on-site retargeting should power ALL your website call-to-actions and create more relevant website experiences for your visitors as they consider your product or service. Implement on-site retargeting with the goal of nurturing website visitors through each step of their evaluation, and you will convert more customers. It could be your biggest missing marketing opportunity. While the most common form of on-site retargeting is in the form on exit-intent popups, it is far from the most effective on-site retargeting strategy for customer acquisition. Lightboxed overlay popups can be very effective. 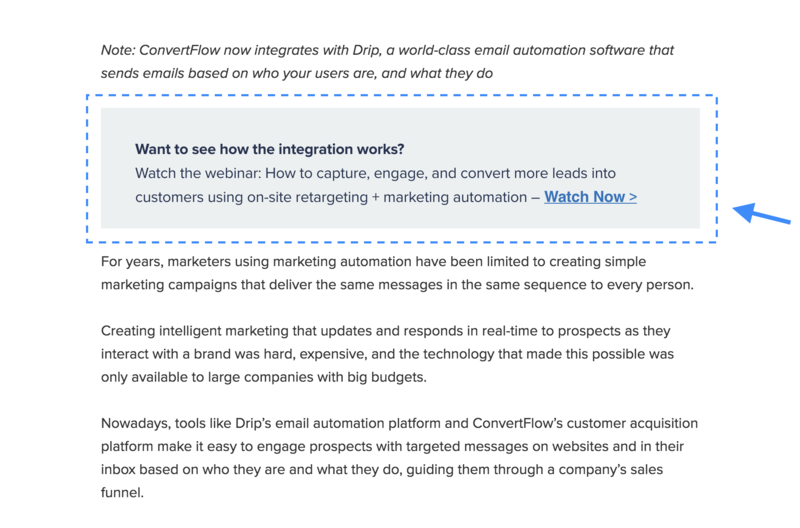 ConvertFlow supports these types of messages, and advocates their use when appropriate. But, there are multiple other kinds of call-to-actions you can trigger with on-site retargeting. 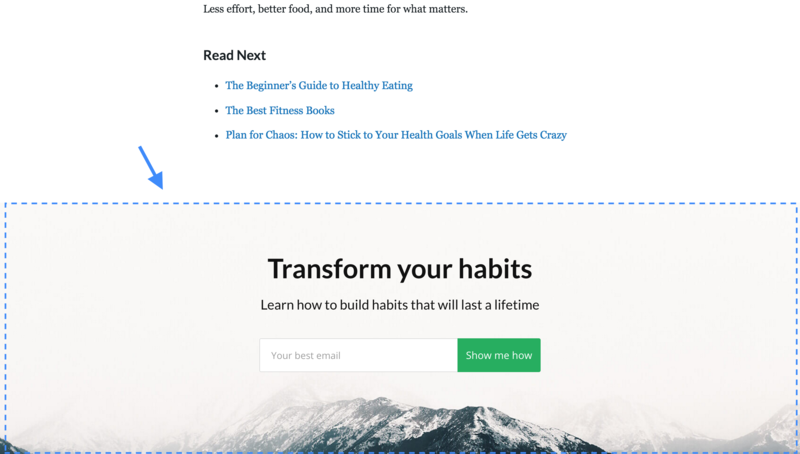 Embedded call-to-actions and forms – You already have these on your site. On-site retargeting makes them dynamic. On-site retargeting is also a great method for doing account-based marketing. Tell your sales team that you can nurture prospects from specific companies, based on any information gathered in your CRM, and they will likely get excited, especially if you volunteer to set it all up. Just be sure to have alignment with Sales so your messaging doesn’t interfere with their sales efforts rather than aid them. 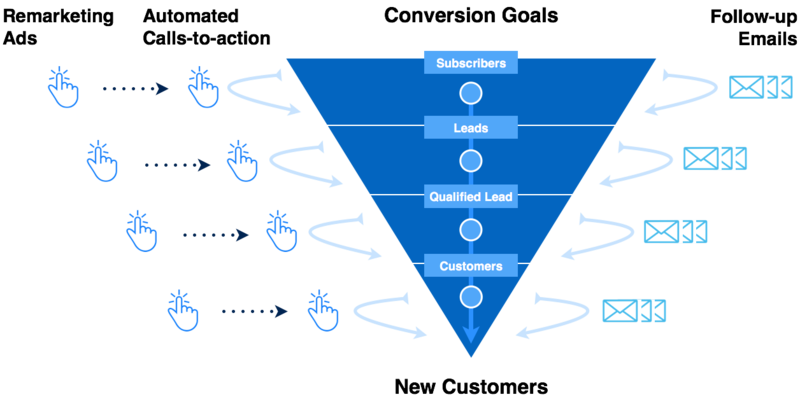 Marketing automation and lead nurturing is all about creating journeys through email (or other channels) to guide an email subscriber to customer conversion. On-site retargeting is no different. It’s the same thing, just on your website instead of off your website. 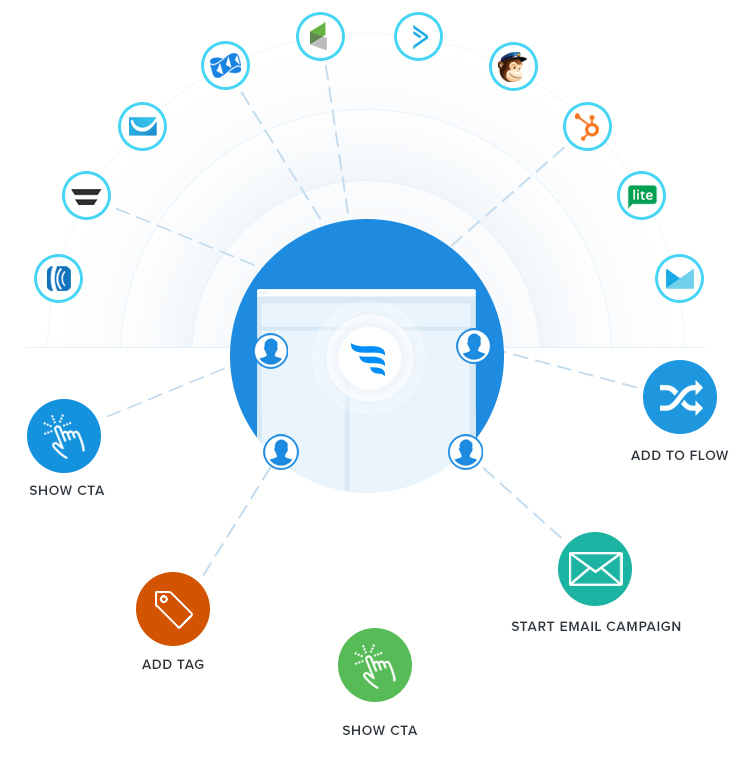 ConvertFlow helps you make your website the center of your marketing automation efforts. Slide-out messages – These are a great way to personally engage your visitors, and call attention to relevant next steps. 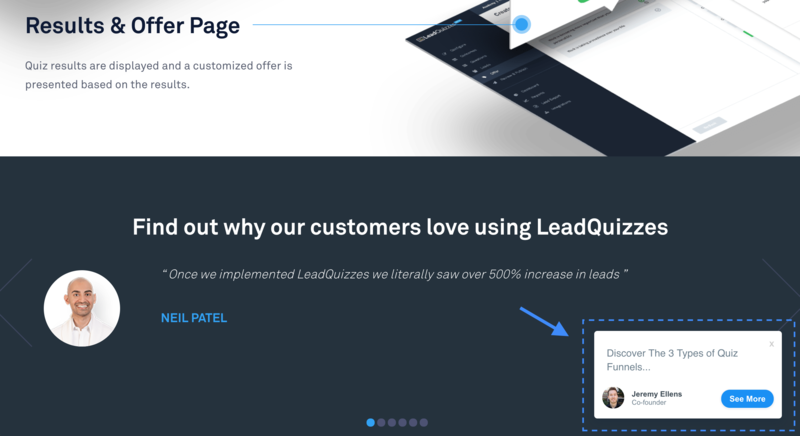 Scrolling calls-to-action – Have a message in the corner of your site present as soon as they enter your site that is based on past visit behavior and accumulated lead data. They are less jarring than entrance overlay popups. Native hyperlink call-to-actions – You can even dynamically change hyperlinks on your site based on new targeting information. No call-to-action of any type has to be irrelevant when you use on-site retargeting.